None shall be crowned who has not fought well. The Spiritual Combat is known as one of the greatest classics in ascetic theology, along with The Imitation of Christ. In both cases the authors are shrouded in mystery. Several 17th century editions were published under the name of the Spanish Benedictine, John of Castanzia. Some writers of the Society of Jesus have ascribed the book to the Jesuit, Achilles Gagliardi, but most critics however consider Fr. Lawrence Scupoli as the author of this famous treatise. The first known edition was published in Venice in 1589 and contained but 24 chapters; later editions appeared with more chapters, so it is possible that the Theatines or another religious order may have been part of the composition. Whatever may be the solution of the problem of the author, doubt of the actual one or ones, can take nothing away from the value and efficacy of this "golden book" as St. Frances de Sales called it. It was "the favorite, the dear book" of this great master of the spiritual life who, for 18 years, carried in a pocket a copy which he had received from Fr. Scupoli in Padua himself. The Saint read some pages of it every day, entrusted to its supernatural and human wisdom, the guidance of his soul, and recommended it to all under his direction. The purpose of the work is to lead the soul to the summit of spiritual perfection, by means of a constant, courageous struggle against our evil nature, which tends to keep us away from that goal. The author was a genius, the kind that can only be inspired by the grace of God and his book is a Catholic treasure and one of the greatest gifts God could have given any age, but most especially this benighted age which has lost its appreciation for the kind of simplicity necessary for sanctity. Catholic Tradition is presenting here chapters in installments of several per month until completed, for a total of 66 chapters [8 months]. 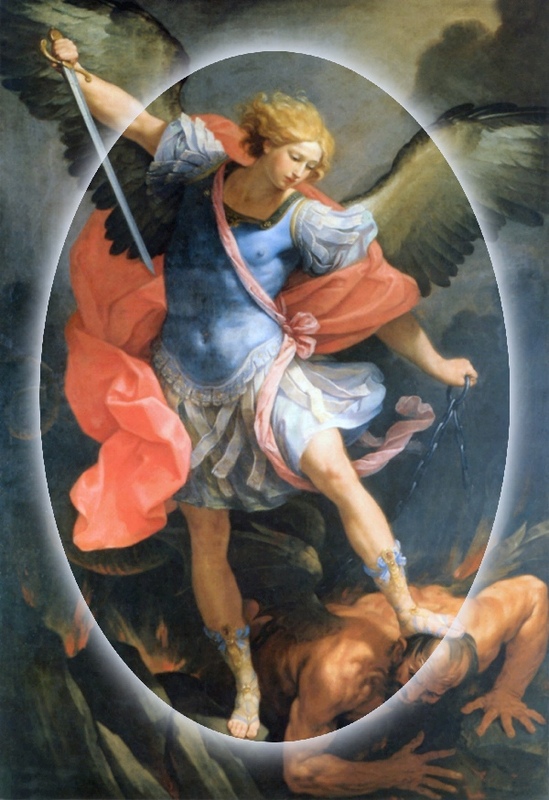 The image is of St. Michael Fighting the Devil by Guido Reni, circa 1633.